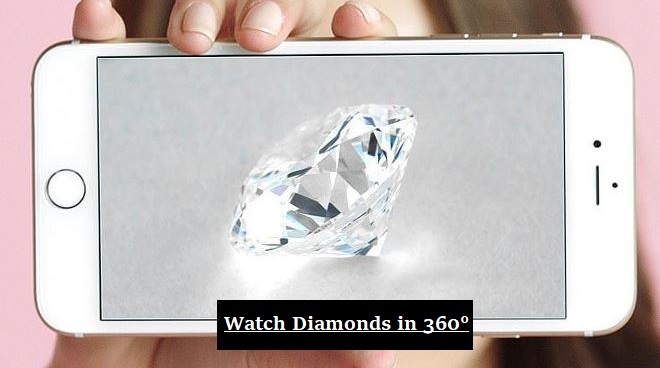 Be sure to check out our loose diamond filter to compare actual prices. - With continued economic growth around the world and more demand for luxury goods and decline in the mining of diamonds, it is expected that the prices of high gem quality natural diamonds will increase by roughly 6% each year until 2020. - While the overall health of the economy influences the prices of diamonds, in general this gemstone has gained value over the years. Data shows the prices of diamonds over the past ten years have increased by approximately 32-33%, giving it an average of 4% every year. - De Beers no longer controls the supply of diamonds as their market shares have fallen from roughly 90% in the 80s to close to 30% now. This is a good news because it shows that diamonds can hold its value even when its supply is not controlled by a large cooperation. - While many pundits would suggest that diamond is not a good investment, it is not necessary true. If you get the diamond from a trusted source at a close to wholesale price and it is a top gem quality stone, diamond is one of the best commodities you could own. People are not insane to invest billions of dollars in this alluring gemstone. However, it is a different story if you buy the gemstone at a 100-200% marked up price. - Pure natural diamonds have earned itself value by being one of the only gemstone that has a relative standard price benchmark/threshold against which you could evaluate its value similar to gold. Rapaport significantly influences this benchmark, but so does market forces. Other natural gemstones do not have this advantage, and even, at times, it is extremely hard for dealers to determine how much to pay for a particular gemstone e.g. ruby or emerald as they do not have a standard benchmark. It is all guess work when it comes to other natural gemstones. Determining the best price for a diamond is critical for investors and consumers alike. This rare and alluring gemstone has been around for years and, all this time, its price has been quite high. To understand diamond and how its market value has been over the past half century or so, it is important to have a good perspective of the worldwide diamond industry. The value of diamond has always been high since it was discovered and the main factor that affects this is the demand of the diamond jewelry. With continued economic growth of the world, the demand of diamonds is expected to have a positive increase in the future. With increased demand for this unique gemstone over the coming years, eventually demand will be way higher than the growth of diamond production. This is due to the slowdown of current mines and the lack of discovering of new mines for this mineral. With the increase in demand of diamonds, more and more companies have come to the realization that such demand would affect the supply and demand of diamond in the market thus affecting prices globally. Similar to any other goods, polished diamond prices' fluctuate like other commodities, and a range of forces lead to this increase and decrease. The price might change due to external factors, including basic economic ups and downs, or their maybe internal factors, for example, traders’ expectations. To learn more about the trend of diamond prices, you need to have a look at a summary of the affecting forces and how they have played a role in the market over the past half century. If you have a most recent look at the diamond prices for the last 10 year or so, you will notice that the prices have largely increased and decreased at a certain point. If compared to another mineral such as gold, diamond prices haven't fluctuated as much, but they have changed nevertheless. Surveys show that the price of diamond over the past 8 years have increased by approximately 33%, giving it an average of 4% every year. Yearly the prices of diamonds fluctuate on a moderate scale. From high to low, the process might change by about five to seven percent. In the year 2008, in August the prices of diamonds decreased to its lowest at an average of more than 12% compared to January of the same year due to the financial market collapse. A 12% decline is quite significant especially if it was another economic sector that was being affected. However, In 2011 the scenario was much different. In this year, the prices of diamonds rapidly increased to a record breaking 20% due to higher demand. These changes basically mean that there are several factors affecting the diamond. One reason might be due to changes made by the manufacturers and wholesalers who want operations to run as per their needs. There are other contributing factors to the price of the diamond. When it comes to mining of diamonds, there are different types of diamond sizes being mined. And different sizes of diamonds, means different price fluctuations. With external and internal factors playing a key role in diamond price, the alternative levels of these forces on the price of a certain type of diamond will also affect the market value. The size of the diamond will highly affect the price of the diamond. You will find that large type of diamonds (weighing about three or more) will fluctuate more compared to the smaller diamonds (weighing 2.99 carat and below, usually up to 0.50 carats). When you look at larger diamonds, you will notice that they have gradually increased in price over the past fifteen years, more than doubling their prices. The 4 carat diamonds (most active type) tripled between the year 2004 and 2008. When you look at the changes in prices of the smaller diamonds (0.50 to 2.99 carat) you will notice that the change in price over the past years is smaller. One of the factors which play a huge role in the prices of diamonds is the role De Beers' monopolistic control of the diamond market. De Beers' is a company that plays a vital and big role in the mining and trading of diamonds. De Beers' has upper ability to affect the flow and prices of rough diamonds. When the prices in the market would go up, De Beers' would increase the supply of rough diamonds, which would directly increase polished diamonds. As the firm stronghold reduced, both the prices of the rough and polished diamonds were open to more economic forces. In the year 2008, this was very evident. The price of diamond started shooting up at a quick rate, which was last seen more than thirty-five years ago. This increase did not last long, but it was caused by a several of economic factors, with some being global factors. Another important factor affecting diamond price is the global diamond demand by consumers. In the year 2013, there was an estimated of $76 billion worth of sales which is a much higher number compared to the year 2012. One of the countries where diamond jewelry is higher than other countries is China.US and China are the biggest markets when it comes to polished diamonds, with more than 3% increase from the years 2012 to 2013. US had an increase of 7% while China had an increase of 12%. With the increased demand of diamond, prices will constantly keep on increasing at a steady rate. Recently the demand of rough diamonds at certain times of the year has gone up and down, with prices fluctuating. For the past few years, the price of rough diamonds has not changed much in most markets. According to various reports, the price of high-quality diamonds is believed to have dropped over the 40 years, which can be attributed to inflation, which is an important factor in price. 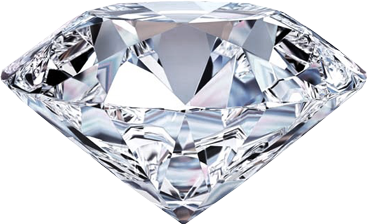 If you consider inflation, you will find that some of the diamond types have lost their values by more than 80%. This can be also be attributed to other factors which affect the market of diamond mining, production, and distribution. When looking at diamond market price, you will notice the increase in popularity and sales of alluring colored diamonds, which is being spearheaded by mostly Asian investors. Between the year 2006 and 2014, colored diamonds (blue, pink, yellow diamonds) have had a mean appreciation of approximately 154.7%, and within the same duration the normal colorless diamond (white diamond) increased by an estimated 62.4%. In the current market, China and Honk Kong are one of the dominant buyers of colored diamonds in the market. The increased demand and rareness of the colored diamonds have led to an increase in prices. Since the year 2005, reports have provided info that color diamonds have increased in price. In general, diamond prices are quite more volatile than they used to be over the past years. This is especially due to the decline it the cartel structure that used to be in the diamond industry. The price of diamonds is believed to continue to ride due to the increase in demand and decrease in supply. The main factors affecting the supply of diamond is the reducing stockpile of De Beers', increased demand of diamonds in China and the lack of discovering big new diamond deposits. In the 20th century, the De Beers' stockpile played an important role in controlling the prices, and since their change in business policy, the decrease of its stockpile have affected the diamond market. A shortfall in the mined diamonds will directly lead to an increase of prices. Diamond production was at its highest in the year 2006, with an average of 175 million carats, which has reduced to 130 million carats annually. This is because of the low discovery rate of Kimberlite. If new discoveries are found, it would increase the production of diamonds thus stabilizing the market demand, which will directly affect the price. More than 50 years ago, the diamond market has gradually changed, especially with the change in control by De Beers' in the market, which was due to the discovery of large mines in Russia, Canada, and Australia. These made it harder for De Beers' to control all the rough diamonds it the market, thus weakened their effect to alter supply and prices to their favor. Over the years, De beers market share has reduced. In the 80s it had a 90% market share, in the late 90s, their market share was at 60% and currently it has reduced to around 33%, which has gradually affected the market of diamond and its price.